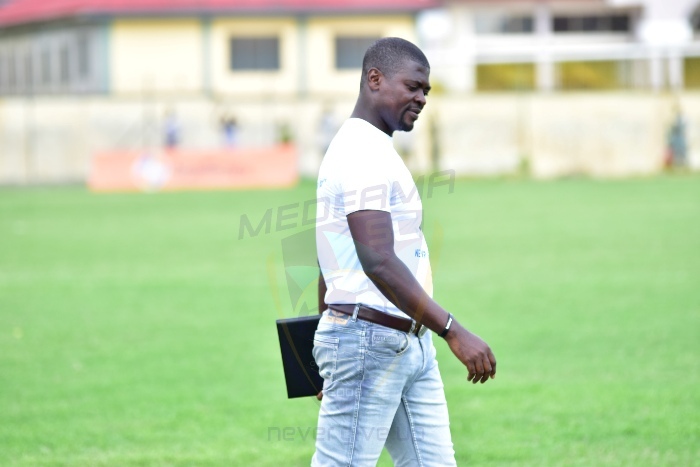 Medeama coach Samuel Boadu is staying grounded despite his side’s flying start in the Ghana Premier League. The young gaffer has an unshakeable faith in his troops after their hard-fought 2-1 win over the miners to move up third on the league table. Combative midfielder Justice Blay, voted man of the match, opened the scoring in the 27th minute before Ivorian Roland Djodji pulled parity nine minutes later. Midfielder Kwasi Donsu grabbed the match winner after converting a late, late penalty in injury-time. 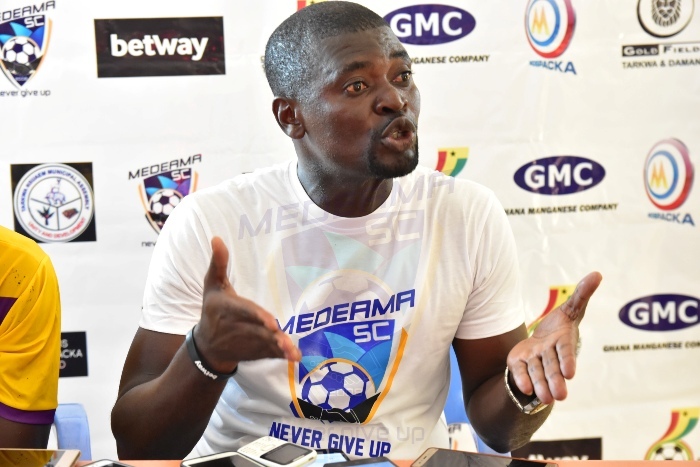 The Mauve and Yellows have been tagged as a potential Premier League title contender but coach Samuel Badu says it’s important to stay grounded. “It was a difficult game against Ashantigod but we managed to break their resolve. W have put the win behind us and focused on our next game against Ebusua Dwarfs on Thursday. “Like I said, we are staying grounded and not getting carried away. There are still few areas we need to work on going forward. “We have many, many, tough games ahead of us and so lets focus on that. Medeama have jumped to third on the table with 16 points, just a point behind Ashantigold with one outstanding game.